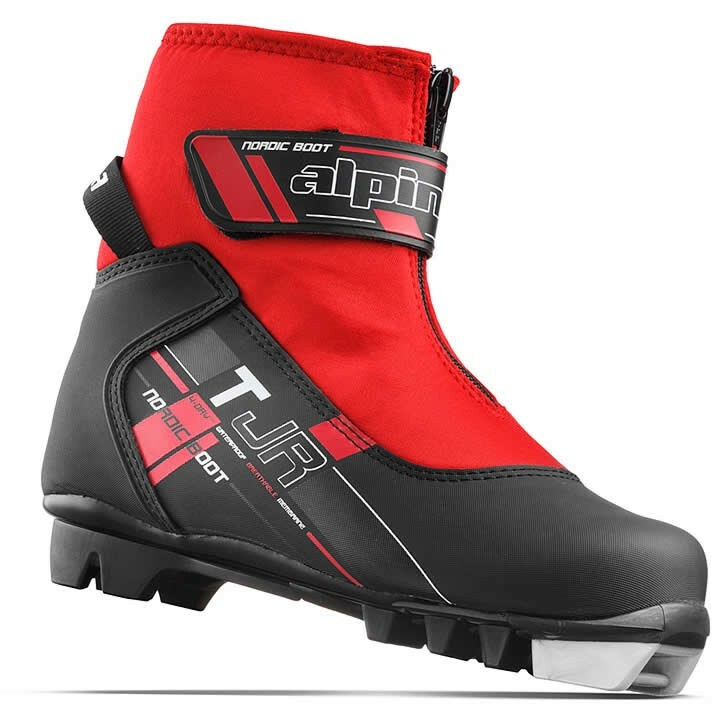 The Alpina TJ Jr. is a boot from the Alpina Touring Collection - designed for kids who need a comfortable, warm boot that's equipped with all the features found in the best competitive boots. Thinsulate insulation keeps the feet warm, and the additional padding gives that extra comfortable feeling while skiing. Soft: The shoe design, together with component parts and materials provides a high degree of flexural rigidity, which delivers maximum power and control using the classical technique. Junior: Last for each type and category of shoe are developed according to the very specific functional requirements of the shoe and the desired level of comfort and grip. They are formed on the basis of experience, knowledge, skills and practices, and with the help of digital research (scanning) the large number of feet; they take into account the huge variety and diversity of shapes of feet (metatarsal volume and width, heel volume and curvature of the heel arch, a variety of shapes and positions of the bones of the ankle; height, size and curvature of the instep of the foot, etc.) Along with the design and shape of the internal soft part of the shoe, offering optimum grip so wide and narrow, as well as high and low forms of the feet. 4 DRY: The new 4DRY liner enables breathability, drainage and ventilation, while also being water-resistant. All these features help keep the boot ultra-dry, while the feet stay nice and warm. TX-Loop Lacing: The combination of laces and textile bands exploits the friction between lace and loop. This allows the efficient transfer of lacing forces through the entire foot and provides a strong yet comfortable grip between the shoe and the foot. Plus on-off is easy. 4DRY Wave: With its woven textile configuration makes the boot water impermeable and allows it to breathe. Water vapor passes out of the boot, so the boot interior stays warm and dry for maximum comfort.